The secret here is to use parboiled rice. You can buy Uncle Ben's Converted Brand Rice or a store brand parboiled rice. 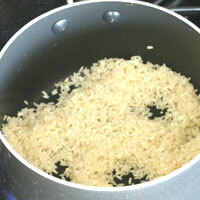 Using normal long grained rice will make it starchy and you'll end up with a clumpy mess. Serve as a side dish, in shrimp or steak tacos, or in Mexican salads. Measure rice and set aside. In a separate container, measure water and salt and set aside. 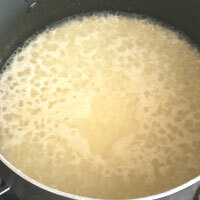 Melt butter over medium/high heat. 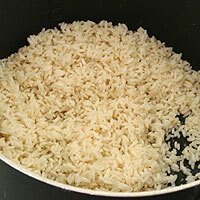 It is very important to use parboiled rice. 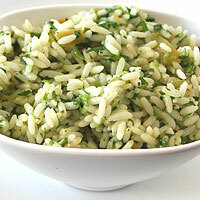 Long grain rice gets starchy when mixed and you'll end up with a clumpy mess. 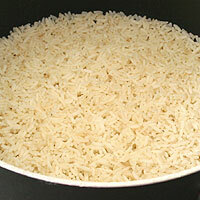 Parboiled rice also keeps longer and can be reheated and still maintain it's texture. Add rice and cook a minute or so stirring frequently so it doesn’t burn. Turn the heat to high and add water and salt. Bring to a boil. Cover and reduce heat to (1)low. Cook 15 minutes. Turn heat off but keep it on the burner and let sit 15 minutes. Do not remove the lid! It needs the steam to finish cooking. On my stove I have low, 1-8, and high. To cook the rice, I put it on 2. While the rice is cooking, seed and core the jalepeno. Crush through a garlic press. 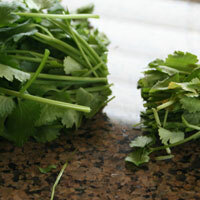 Chop the stems off the cilantro. Finely chop the tops. Squeeze and measure the lime juice. 4. Use a citrus reamer. When rice is done, fluff with a fork. 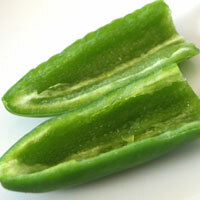 Add jalepeno, cilantro, lime, green chiles (undrained), and salt. Mix well. Because of the fresh lime and cilantro, it's best used the same day, but still good up to two days. Parboiled rice is a lot harder to mess up than long grained rice. 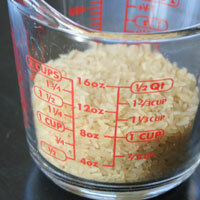 You still don't want to overstir, but it won't get as mushy and starchy like the other rice does. Use fresh lime juice! The lime gives it a lot of flavor and bottled lime juice will ruin it. 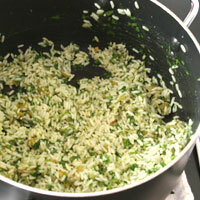 Add the seasoning after the rice is cooked. Cooking them into the rice looses their fresh flavors. 1. Measure (1)rice and set aside. 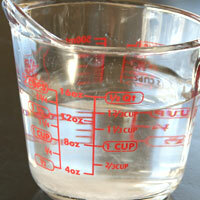 In a separate container, measure water and salt and set aside. 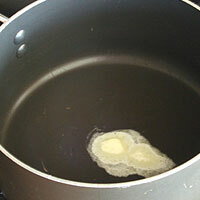 Melt butter over medium/high heat. Add rice and cook a minute or so stirring frequently so it doesn’t burn. Turn the heat to high and add water and salt. Bring to a boil. 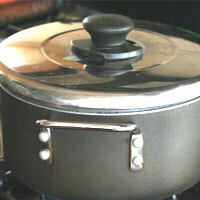 Cover and reduce heat to (2)low. Cook 15 minutes. Turn heat off but keep it on the burner and let sit 15 minutes. Do not remove the lid! It needs the steam to finish cooking. 3. When rice is done, fluff with a fork. 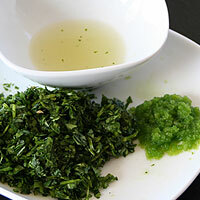 Add jalepeno, cilantro, lime, green chiles (undrained), and salt. Mix well and serve hot. Because of the fresh lime and cilantro, it's best used the same day, but still good up to two days.